"Your Home Is Our Business"
New Year, New Home? Thought about a new home for your family or buying your first home? Yes this market is a little tricky, contact us today as we can help you achieve this goal. We understand what aggressive tactics are needed to stay ahead and succeed. You have also been waiting to see if prices go down again? Waiting to see what happens with interest rates? Prices have remained steady or been at a steady increase for quite some time now so that is not worth the risk. As for interest rates, it looks as it we may start to see an increase there too. You don’t think you can qualify? Credit may not be good enough? You may be surprised, your credit may not be as bad as you fear. Did you know that our lender partners work hand in hand with some credit repair agencies too? They will help guide you though what you need to do so you can qualify. Call me today so we can get you with one of our amazing lender partners and get you through the pre-approval process so we can work on getting you into that new home. Don’t wait for a better time, the time is right now! Click here to get neighborhood information now. Click here if you are thinking of selling your home. Have you asked yourself, Is It The Right Time To Sell? Call the Fraser Team today (702)622-0601 and we will sit down with you and go over your options in our current market. Whether you are in a traditional equity situation or one of the many home owners still in trouble with no option but to short sale, we are your go to Team. Our professionalism and attention to the details will keep you on track every step of the way. Click here to get information on selling your home. Click here to search homes for sale. Still A Great Time To Sell! In case you thought you may have missed out on the window of opportunity, it is still A great time to sell! Buyers are still everywhere and trying to purchase a home with very little inventory available so now is the time, call the Fraser Team today and lets get started (702)622-0601. Homes still selling fast and some still even going into multiple offer status still. We even still work diligently on short sales for our clients that still may need that option. Click here search homes for sale. When is the best time to buy a home? There are a lot of concerns going around lately regarding when to buy a home. The market has been through some changes and of course rising interest rates so how do you really know? This time of year homes move off the market fairly quick and that can even be scary to a buyer. These reasons just solidify the fact that you need the right Realtor on your side. We help insure that your financing stays on track as well as you being protected every step of the way from contract to close of escrow. If buying a home has even been a mild thought, contact the Fraser Team today and we can help get you on the right track to get started. Listed To Closed In 30 Days! Another happy Seller client for the Fraser Team! 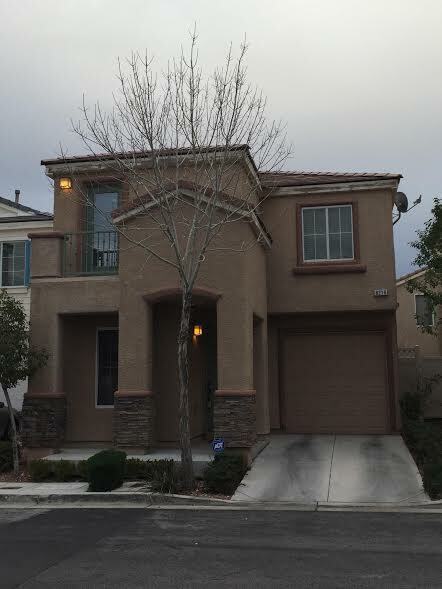 This beautiful SW area Las Vegas home was listed, under contract, sold and closed in 30 days total! Continuous follow up keeping everyone on track and on the same page of this transaction kept it all together. We pride ourselves in the attention to detail that is required to not miss a date or obstacle that could arise from the contract terms. Another success story to show that we continually watch the market conditions and verify all possibilities to work hard and get the most money for our sellers possible and in the least amount of time. For The Fraser Team it has to be a Win Win transaction for everyone. Another great client that came to the Fraser Team by way of a referral from a past client, contacted us to sell their home. Upon reviewing this amazing home and our clients goals we were able to list this home for sale and get the first showing with an offer in less than 24 hours. Needless to say we were fully under contract in less than 48 hours! As we continue to reach out to local homeowners that seem to still be in financial trouble with their mortgage, we found yet another home owner that had been trying diligently for over 2 years to get a loan modification to save their home. Upon meeting with this family we learned that they had truly exhausted all avenues trying to work with their mortgage company for a mutual resolution. Our team, The Fraser Team officially listed this wonderful single story home that is in a non-HOA neighborhood and we will do everything in our power to get this home sold as a short sale to get our clients relieved of this financial burden so they can close this chapter and begin a new one. Fraser Team Saved One From Auction! In reaching out making our calls trying to help local homeowners in distress, we reached one that knew they had been in trouble for quite some time. They were still trying a couple more things to save their home and weren’t ready to have us jump in yet. About a month later we got the call they were done with the fight trying to save it. They contacted us, The Fraser Team to sell their home. Now to save the equity they actually had in this home, yes equity. Just as we were pulling away from the home with a signed listing file, notice of sale was served. Now our clients were is panic, we assured them we would do all we could to stop the sale in just about 3 weeks and continue to market their home for sale. First phone call made immediately while driving from the listing, lender was very cold, harsh and un-cooperative. We continued to work marketing the home to try to find a buyer quick to no avail. We continued contacting the lender on a very regular basis to try t get them to work with us and not against us. Never giving up and never stopping our marketing efforts with only 4 days until the scheduled sale, we got a small reprieve. It is only a small and short one but for the moment the sale at auction is delayed. Of course prior to he reprieve we added looking for a loophole in this one to save us or buy us some time and we did find it just two days prior to our granted reprieve. We do all in our power to make it a win win situation for everyone in each transaction, however our fiduciary duty and loyalty is to our client. Whether a traditional sale or short sale we give our all. We are your Real Estate Specialist Team. Click here to get local area information now. Click here to search available homes now. A New Home For The New Year? You have thought about buying a home, maybe even have it as a dream. We can help guide you through the maze to get you started on the right path. Had a hard time saving for the big purchase? Did you know there are also grants available that may help pay the down payment (with approval to grant guidelines). Contact us today and we will refer you to one of our amazing lender partners that will help you get through the pre-approval process so we can begin home hunting! As I research and reach out to local home owners that are truly in distress with their current mortgage, I find that many are trying to avoid the situation and think it will just go away. When our team takes on a property as a short sale, we do our best to take some of the stress of the situation off of our clients shoulders. With a short sale the homeowner has a little more control of knowing when they actually will have to move out of their home, not wait for a new owner to knock at their door to tell them to leave. If you are a homeowner in distress, don’t wait any longer contact the Fraser Team today. We are Certified Distressed Property Experts and we take on even the files that other agents have walked away from and we have been successful. Don’t hesitate, there are options for you too.